Kristian Corby has successfully combined his education in chemistry and hydrology with an advanced law degree in International Water Resources Law to offer clients representation that draws from both education and legal experience. 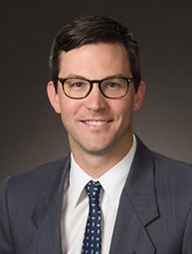 He has worked on cases that involve stormwater permitting, hazardous materials management, underground storage tanks, weights and measures, CERCLA, HSAA and environmental liability insurance. A number of his cases centered on complex multi-party litigation that involved parties as diverse as municipalities, Fortune 500 companies and individual landowners. During his law school career, he built an impressive record of experience clerking for the Honorable Judge William E. Callahan, Jr., E.D. of Wisconsin, the California Attorney General’s Office and the Wisconsin Department of Natural Resources. He was also a Water Law Fellow at the University of the Pacific, McGeorge School of Law, a post he created through a grant application process whereby he worked to establish the Pacific McGeorge Water Law Institute and assisted Professor Stephen McCaffrey in his cases before the International Court of Justice in The Hague, Netherlands. A trail runner who has completed two 50k trail runs, Kristian can often be found running the American River Trail with his running companion, Sal, a black Labrador Retriever Shepherd. Assisted clients in taking steps to form a mutual water company for the purpose of groundwater banking. Drafted articles of incorporation and bylaws. Worked on issues involving amendments to the Water Code involving proposed transfer of authority from an agency to a newly-formed commission. Assisted in complex multi-party litigation, regulatory compliance, and transactional matters for a multitude of clients, from municipalities to Fortune 500 companies to individual landowners. Assisted in representation of clients in a number of areas of environmental law including CERCLA, HSAA and Underground Storage Tank regulation. Assisted clients with applications and appeals to the Underground Storage Tank Cleanup Fund, including drafting petitions to appeal State Water Resources Control Board decisions denying reimbursement requests. Conducted detailed review of liability insurance and established coverage for cleanup costs mandated by environmental laws. Assisted in drafting settlement agreements that assign liability for cleanup and remediation costs of contaminated properties.